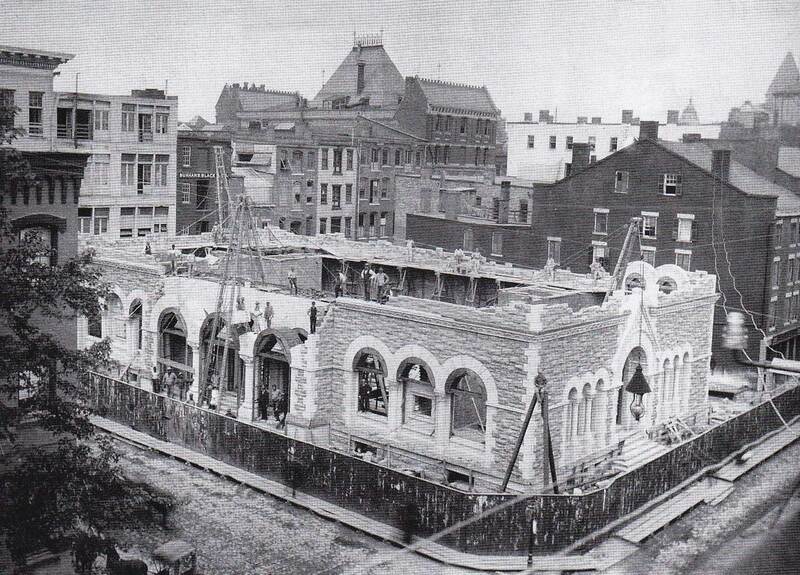 The Syracuse, New York, post office under construction circa 1885, at the corner of Fayette and Warren Streets. It took four years to build. 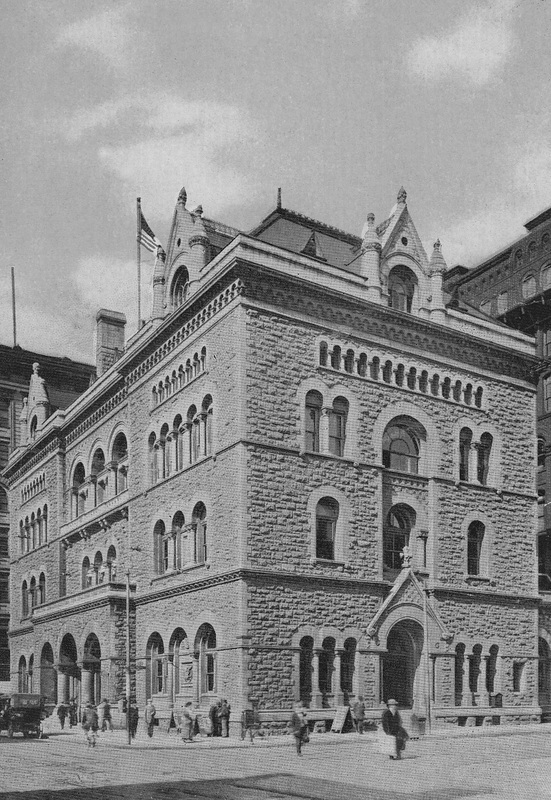 The building was completed in 1889, free-standing, Richardsonian Romanesque. 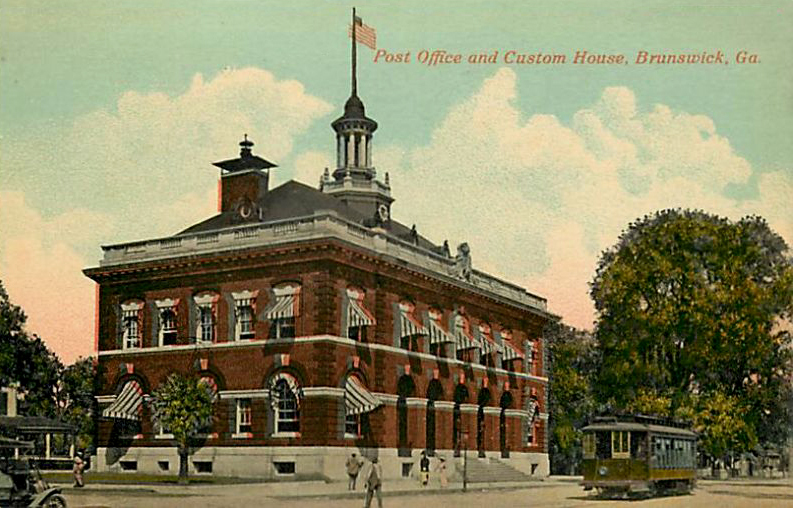 The Syracuse post office being demolished in 1949 to make way for an eventual expansion of Merchants Bank. 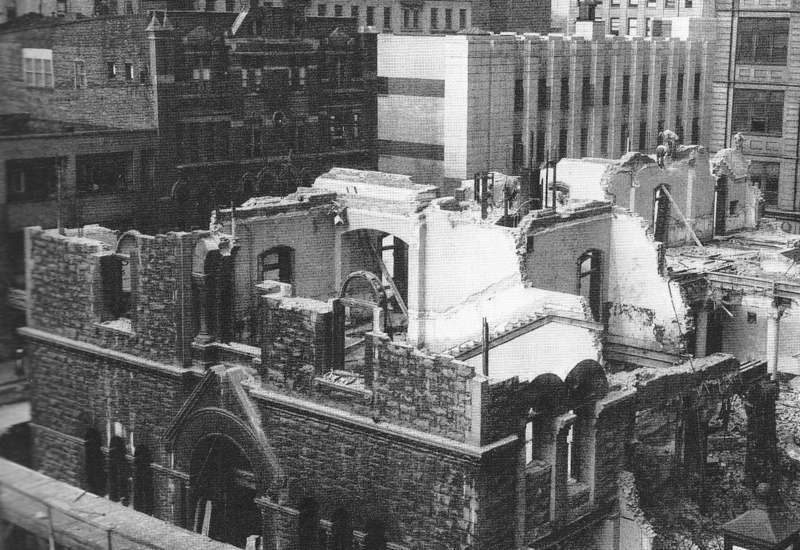 It took four months to destroy the stone building. The crew said it was the best built they had ever seen. 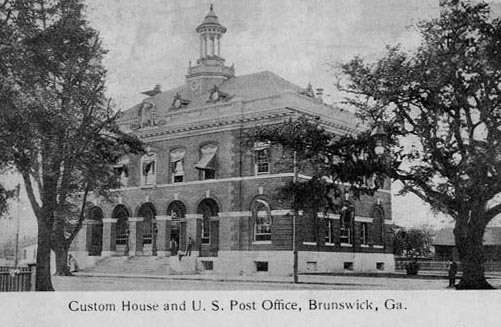 A port city, Brunswick, Georgia, qualified for a post office and customs house designed by James Knox Taylor. … which turned out like this. 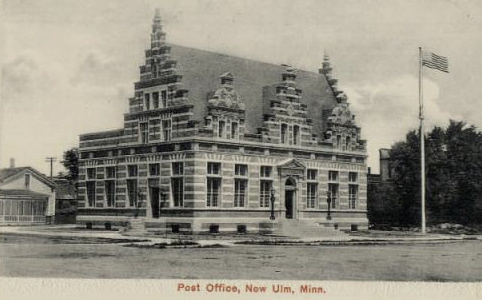 The first thing I noticed about the New Ulm, Minnesota, post office was how much it reminded me of the Crown Colony of Hong Kong’s post office, with its alternating layers of color. 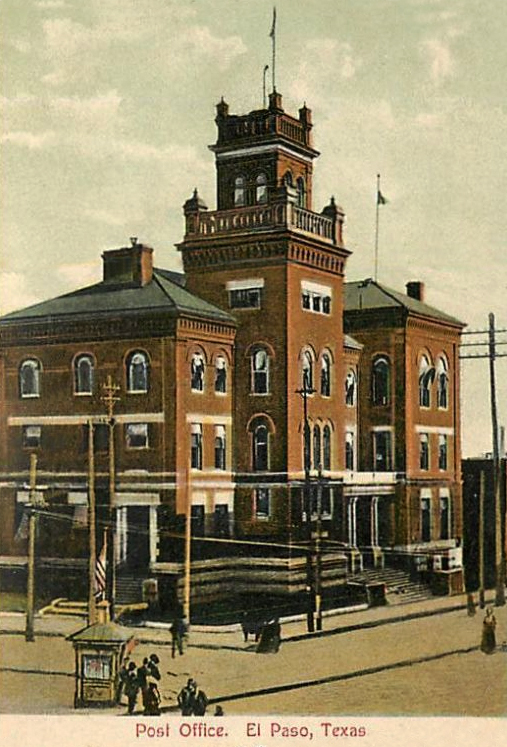 Then, of course, I remembered that New Ulm is home to Schell’s Brewing Company, founded in 1860 and long may it prosper. 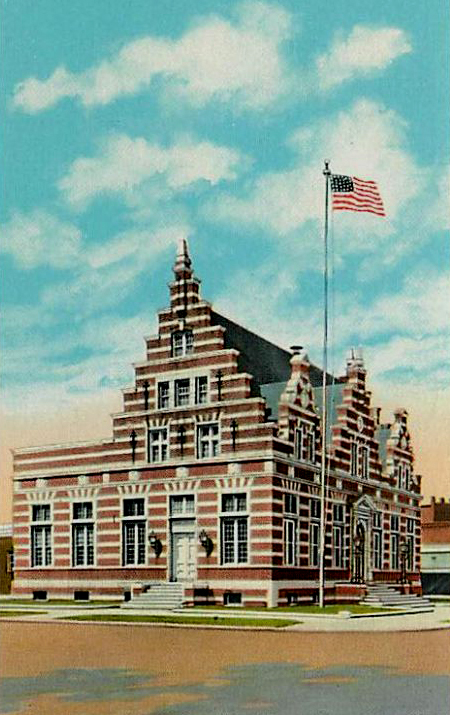 Today, New Ulm’s former post office building is the home of the Brown County Historical Society. 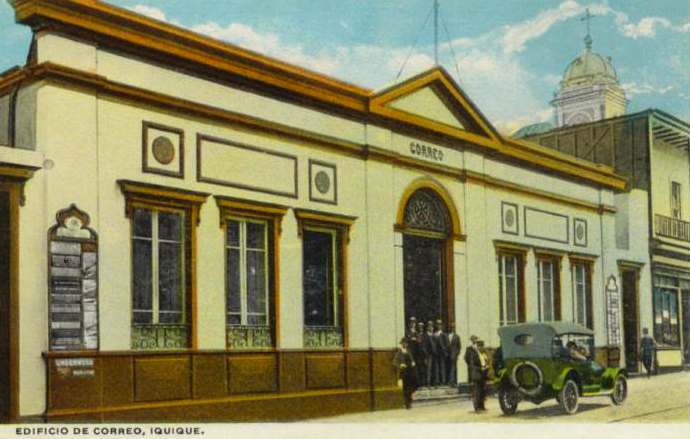 A port city in northern Chile, on the Pacific coast, Iquique was home to many men who wanted to stand in the doorway of the post office and have their picture taken. 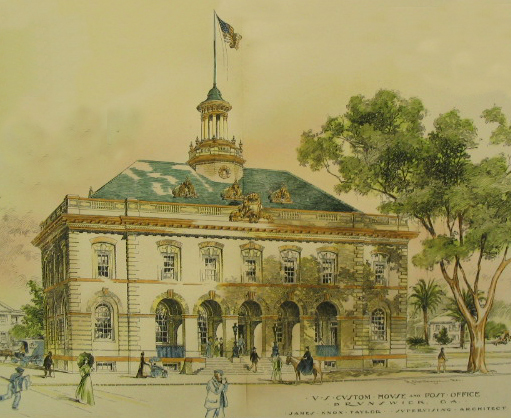 A harbor town, Pittsburg, California, was originally called Black Diamond, named for the coal company that was mining nearby and supplying coal to ships. In 1911, the citizens voted to change the name to Pittsburg to honor Pittsburgh, Pennsylvania, another coal and steel town. You can tell them apart because Pittsburg without the ‘h’ has palm trees. 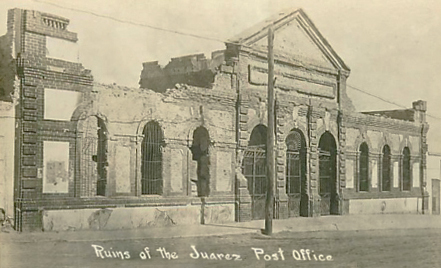 Above, the post office of Cuidad Juárez, Mexico, burnt and riddled with bullet holes during the Mexican Revolution. 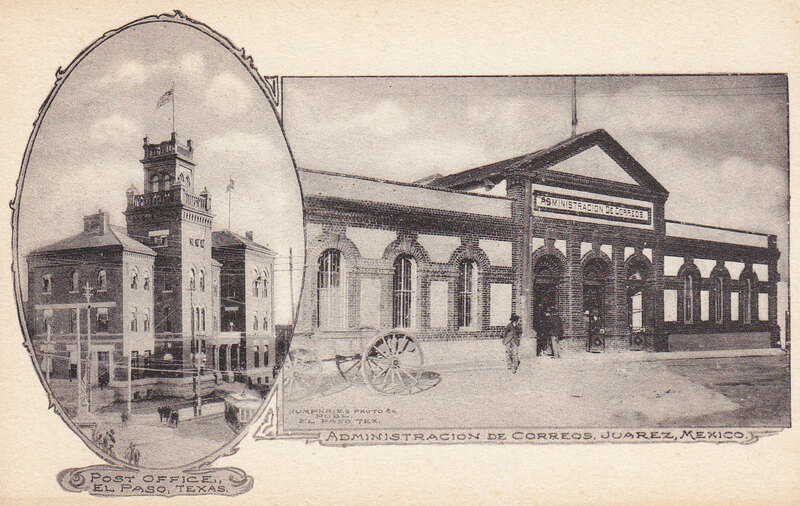 The siege and battle for Juárez took place in 1911 and pitted 700 federal troops led by General Navarro against the rebel forces of Francisco Madero. The rebels surrounded Juárez on three sides in April, with the only possible escape being north into El Paso and the U.S. 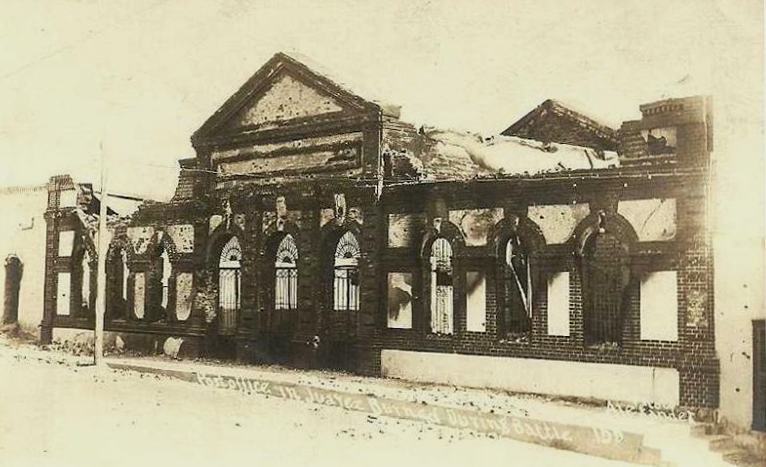 In early May, the rebels cut off the bridges to the U.S., the water, electricity and telegraph, and reached the outskirts of the city center. 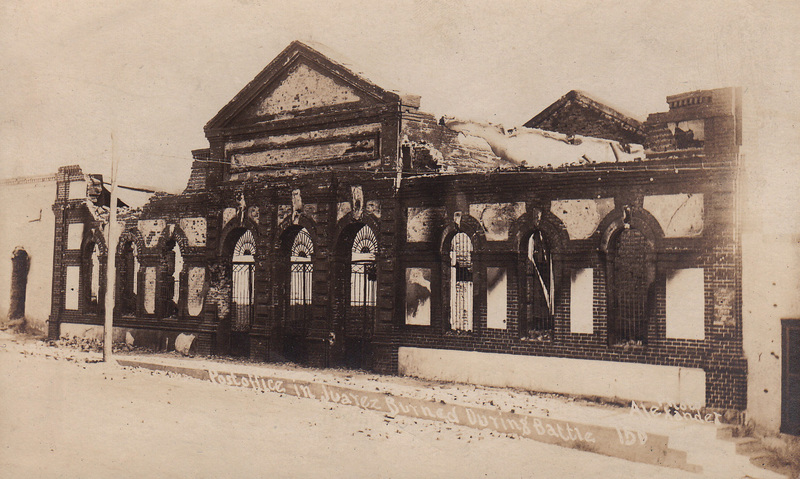 General Navarro had prepared a defense with trenches and barricades, but rather than attack the fortifications, the rebels dynamited the walls of the city’s adobe houses and advanced house by house. Navarro surrendered on May 10, 1911. 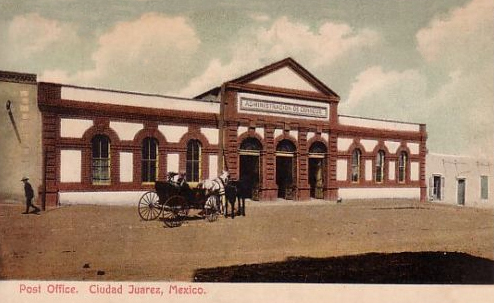 The photographer of the postcard above, Jim A. Alexander (1863-1926) had a studio just across the border in El Paso, and took many photographs in northern Mexico during the revolution. 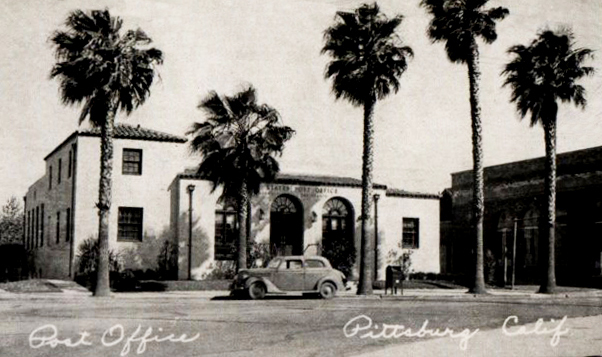 … and the post office in El Paso, all by itself.